The Tufan Apartments in Dalyan is just 5 minutes walk away from the village centre and is set within a large well maintained garden area. 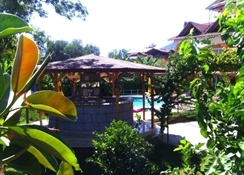 The small town of Dalyan lies on the south-western coast of the Mediterranean, with a great climate this is a lovely family run apartment complex to stay at, with a very pretty pool area that has plenty of space for sun bathing. You can have breakfast served on request for a local charge and there is also air-conditioning. Dalyan was established as a fishing village in the last century and on the wharf there is a beautiful mosque which belongs to the last century. The distance from the sea is 12 km and at 4 nautical miles from the canal, the environment is one of rich plants and agricultural fields. 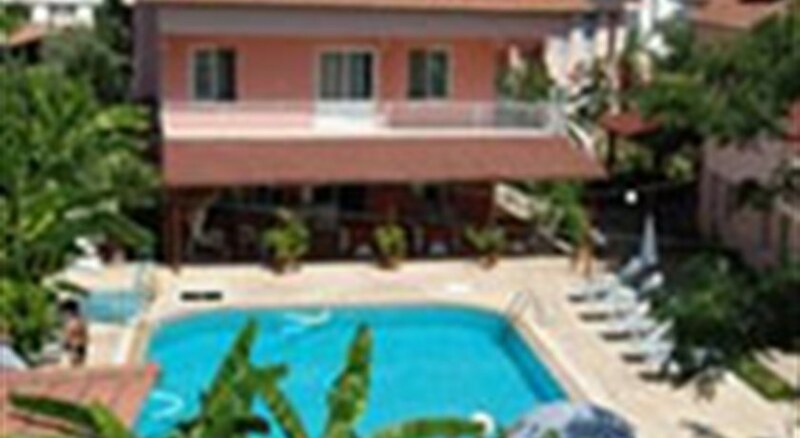 A lovely quiet area, the Tufan Apartments are very relaxing and very affordable! Local Tips: This region has splendid local historical sights and natural wonders to visit if you want to stretch your legs. Dalyan is 80 km from Marmaris and 75 km from Fethiye. Food, drink and entertainment: Hotel café and pool bar with terrace seating. There are local taverns, cafes and shops nearby, and breakfast is available upon request at extra charge. Sport, games and activities: The complex offers a lovely swimming pool with a bar, hammocks in the gardens and sun beds and bean bags for sunbathing. The sea and the river are nearby with natural walks and pretty beaches. Additional: Reception, house-keeping and wireless internet. The apartments are bright, spacious and very comfortably furnished. 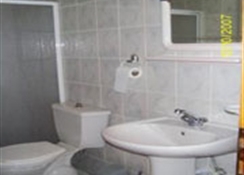 There is an ensuite bathroom and air-conditioning (extra charge) in all the apartments.